The highest weight module L(Λ0) over an affine Lie algebra g(A) is called the basic representation of g(A). In this chapter we construct the basic representation explicitly in terms of certain (infinite order) differential operators in infinitely many indeterminates, called the vertex operators. The so-called principal Heisenberg subalgebra s of g(A) plays a crucial role in this construction. 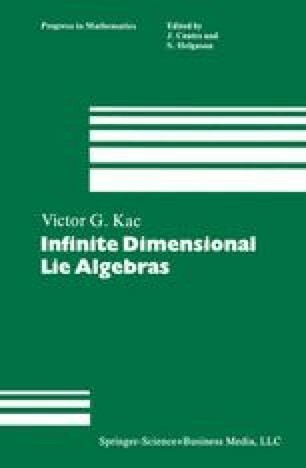 In a similar fashion, we construct representations of affine Lie algebras of infinite rank.